What we have here is an image of the 650S’s replacement that came as a courtesy of Bloomberg. McLaren 720S is scheduled to debut this Tuesday, but we got a hold of it beforehand. The new model has dihedral doors, a revamped cabin and a folding instrumental cluster inside of it. In accordance with what’s under the hood, the exterior features an angry-looking design which is meant to emphasize the overall spirit of the vehicle. The license plate that we can see here reveals that the new member of the McLaren family will, in fact, be called “720S.” The automaker chose this name because the model will have the new biturbo 4.0-litre V8 engine that is good for 720 PS (710 hp or 530 kW). We still do not know any official information about torque, but getting more than 500 lb-ft (678 Nm) is a real possibility. McLaren 650S model puts up those figures thanks to a 3.8-litre engine, so this one should offer more. 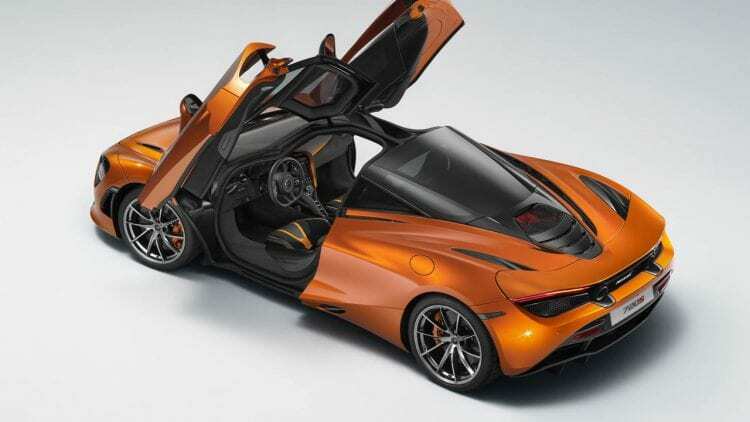 Earlier in February, the automaker revealed in a teaser image that the engine bay of the 720S would light up in red when unlocking the vehicle. Between the seats, the powerplant and beneath the glass rear window, we wouldn’t be surprised to see a small cargo compartment. The C-pillar has the glass-like appearance, and it remains to be seen why McLaren chose to go with this design. Last September, a prototype without camouflage was seen sporting a remodeled fascia along with more aggressive headlights and a brawny bumper. On Tuesday, McLaren 720S will have its official debut at the Geneva Motor Show after which the company is expected to introduce a drop-top Spider version.